Children correspond to spring, to dawn, to the rising of yang within yin, to wind. Their qi is characterized by impulsive, rapid, sudden movement that is also a feature of any changes in their state of health - young children fall ill very easily, yet respond just as readily to treatment. Chinese medicine, which considers illnesses as manifestations of an imbalance in the body’s energetic system, is very effective in making resources available that are important in enabling the child to grow up in a more harmonious and beneficial way. 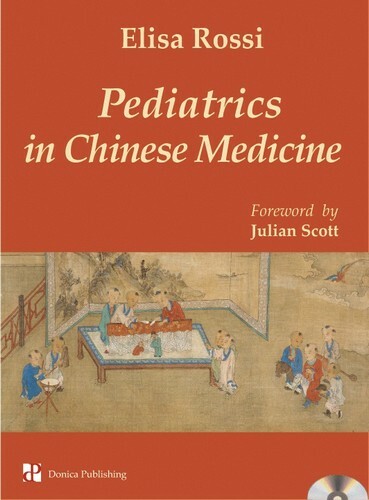 > Comprehensive introduction to the unique benefits of Chinese medicine in the treatment of children’s disorders. > Detailed description of the etiology, pathology, symptoms, diagnosis, and treatment of childhood diseases according to TCM principles. > Clearly illustrated presentation of the main tuina sequences and acupuncture points. > Practical examples of the application of treatment principles and in-depth analysis of 18 case histories giving a useful insight into an assortment of clinical conditions. > Extensive discussion of the relationship between practitioners and young patients (and their parents) and of the difficulties and rewards experienced in clinical practice. > Suitable for all tuina and acupuncture practitioners and for all those interested in treating children in a non-invasive manner. The accompanying 65-minute DVD offers a vivid illustration of day-to-day work, demonstrating the use of tuina and acupuncture on child patients in the Xiaoxiao pediatric clinic.